Los Angeles – The legendary UK psychedelic anarchists return with a fantastic new album led by founding Fairy Paul Rudolph! Rudolph is joined by former Hawkwind bassist Alan Davey and original Motörhead drummer Lucas Fox, who not only created a killer rhythm section for the album but added a bit of sizzling biker-rock to the mix! “I’d say this journey started with Nik Turner introducing me to Cleopatra Records. 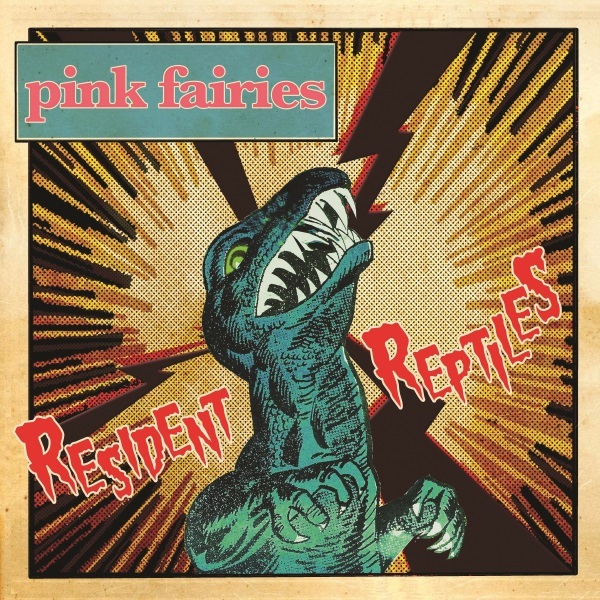 I was asked about the possibility of recording an LP under the Pink Fairies banner and thought – this would be a lot of fun. Get a few people together, turn the amps up to 10 and let ‘er rip. Larry Wallis wanted to be involved and Matt at Cleopatra suggested Alan Davey on bass and Lucas Fox on drums. It seemed like a good match considering the Hawkwind and Motorhead connections. Both Alan and I had been in Hawkwind and Larry and Lucas in the original Motorhead. We were all mates with Lemmy as well and the creative energy flowed as soon as we got to the studio in Austin. So here it is – a spontaneous collaboration of ideas recorded mostly live. Thank you for listening.